See the difference that Pizza Kit fundraisers make for our customers and how a Pizza Kit fundraiser could help your group! Want to order a Pizza Kit outside of an active fundraiser? Advance notice for all pick up orders is required. Please call us for details! US Customers, please visit PizzaKit.com. Please select the Distribution Centre nearest you to view an interactive Google Map that will allow you to get personalized directions. Distribution Centres are not owned or operated by Little Caesars® Pizza Kit Fundraising Program. 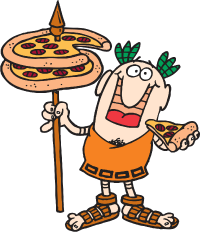 Distribution Centres do not perform customer service activities on behalf of Little Caesars® Pizza Kit Fundraisng Program, including but not limited to marketing activities, such as advertising and/or generating or processing sales on behalf of Little Caesars® Pizza Kit Fundraising Program. If you need to place an order, please contact Little Caesars® Pizza Kit Fundraising Program directly at the phone number or email address listed above.